April | 2015 | ohdenny. 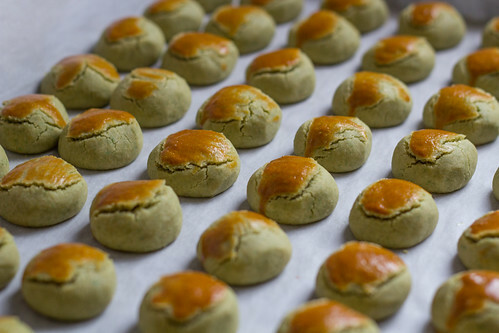 One of the popular Malaysian Chinese New Year snacks is the melt in your mouth peanut cookies. 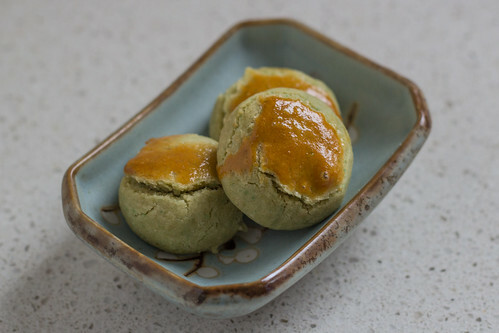 The green pea variation is a more recent creation but retains that melt in your mouth texture and lightness due to its use of oil instead of butter and a lovely roasted ground green pea flavour that is perfect as a slightly sweet and salty snack. 1. Preheat oven to 165° C (329° F). 2. 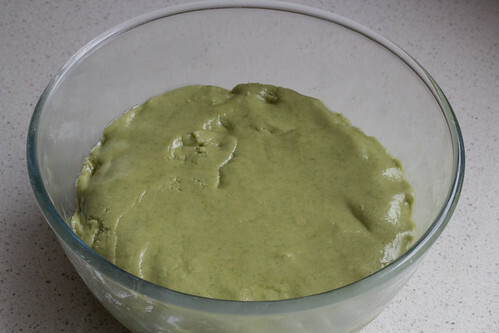 Ground the roasted green peas (if not already purchased grounded) in a food processor. 2. 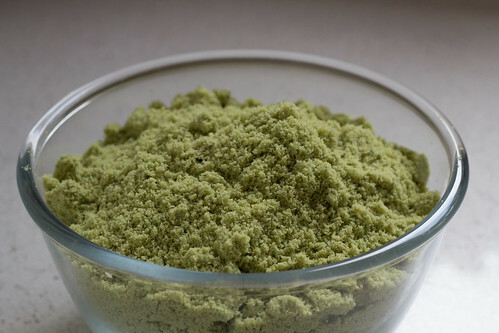 Combine all ingredients in a blender, blend until well combined. 3. Roll the dough into balls. Arrange in a greased baking tray. 4. 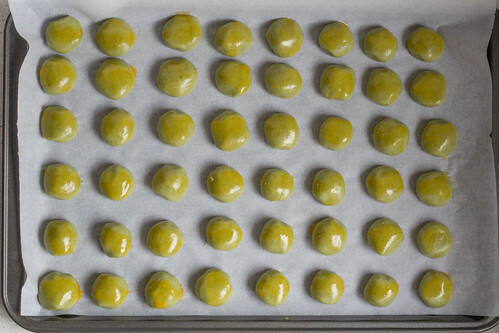 Brush the tops with egg yolk. Bake in the oven for 20 to 25 minutes or until golden brown. Preheat oven to 165° C (329° F). 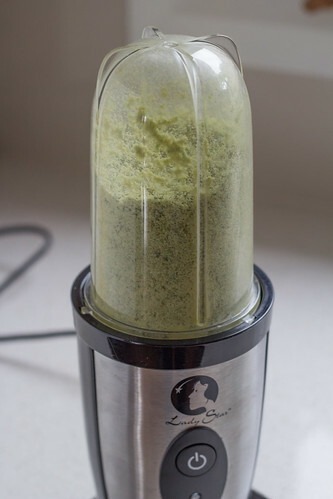 Ground the roasted green peas (if not already purchased grounded) in a food processor. 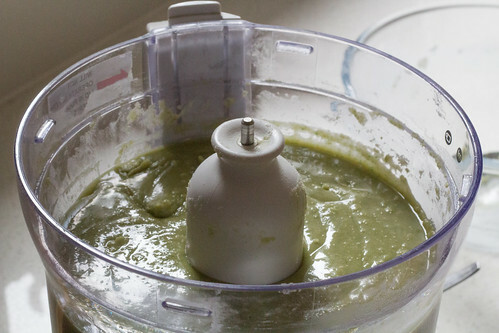 Combine all ingredients in a blender, blend until well combined. Roll the dough into balls. Arrange in a greased baking tray. Brush the tops with egg yolk. Bake in the oven for 20 to 25 minutes or until golden brown. 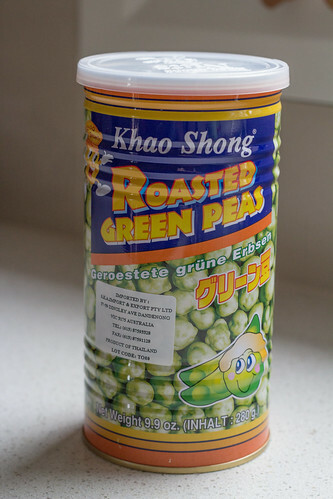 Substitute 390g Khao Shong Roasted Green Peas for the ground green pea if you can't find any in stores and leave out the salt as the Khao Shong peas are already salted. 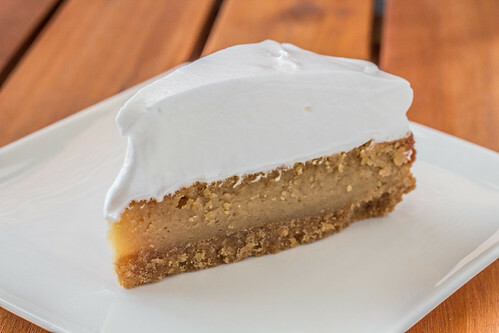 I found this lovely baked Peanut Butter Cheesecake topped with a meringue topping that is like fluffy marshmallows from How Sweet It Is (Howsweeteats.com). 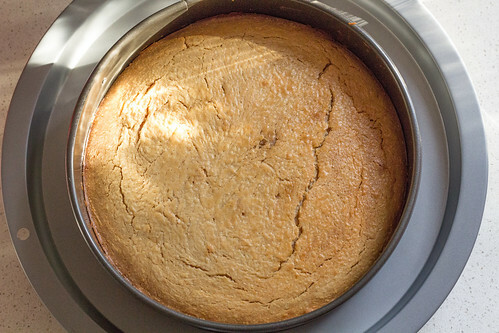 It has an aromatic peanut flavour in the cheesecake as well as the biscuit base. The frosting complements the slightly dense nutty cheesecake filling, it really is a delicious treat! 1. Preheat the oven to 170° C (350° F). 2. Stir together the crushed Marie cookies, ground peanuts and melted butter until combined, then press it into a 9-inch springform pan. 3. Bake for 5 to 6 minutes, until it’s just slightly set. Let cool completely. 1. 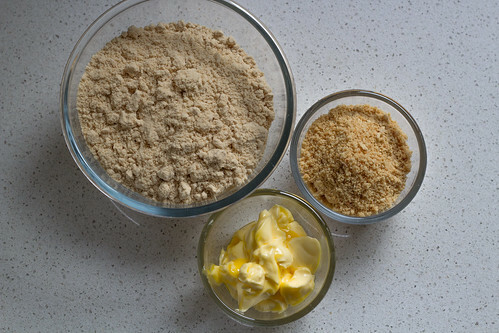 In the bowl of your electric mixer, beat the cream cheese until smooth and creamy. 2. 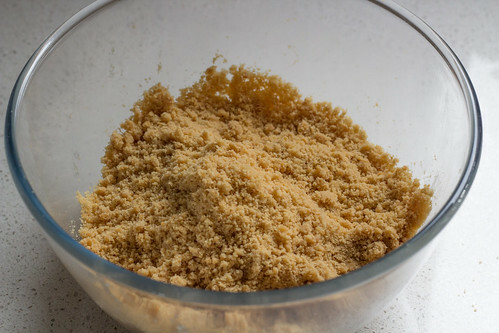 Add in the peanut butter, sugar and condensed milk, then beat on medium speed until combined and fluffy, about 1 to 2 minutes. Scrape down the sides of the bowl when needed. 3. 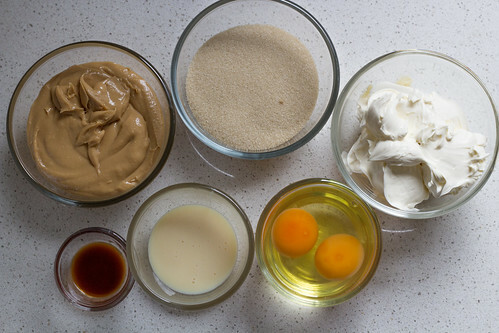 Beat in the vanilla extract, then beat in the eggs one at a time until just combined. 4. Pour the cheesecake mixture into the crust, smoothing out the top. 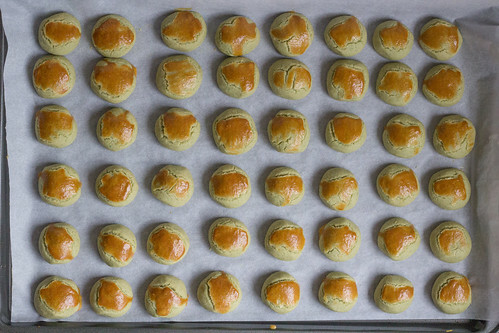 Place the pan on a baking sheet. 5. 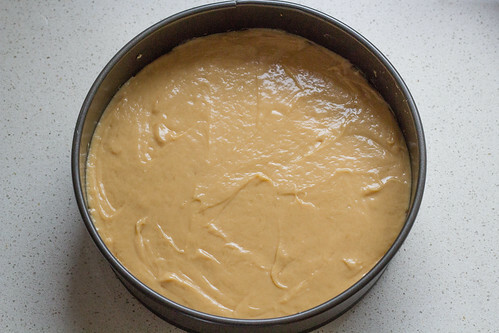 Bake the cheesecake for 50 to 55 minutes, or until the center is almost set. Remove and let cool completely. Refrigerate overnight. 1. 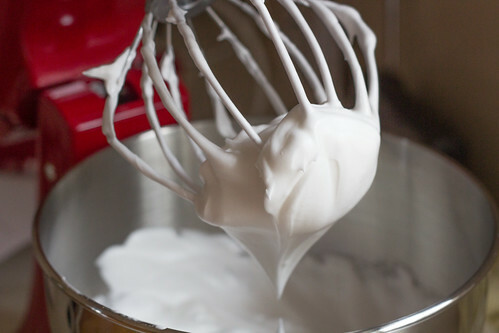 Combine the egg whites, sugar and cream of tartar in a heat-proof bowl, preferably the bowl of your electric stand mixer. 2. 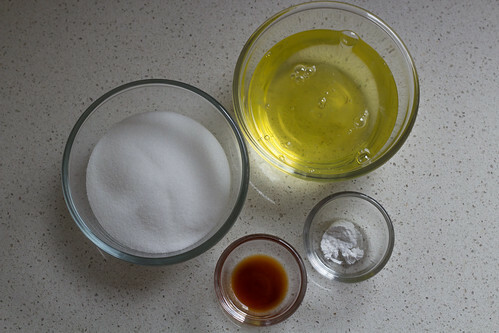 Place the bowl over top of a double-boiler that contains simmering water, and whisk constantly for 3-4 minutes until the sugar has dissolved and the egg whites are slightly warm. 3. 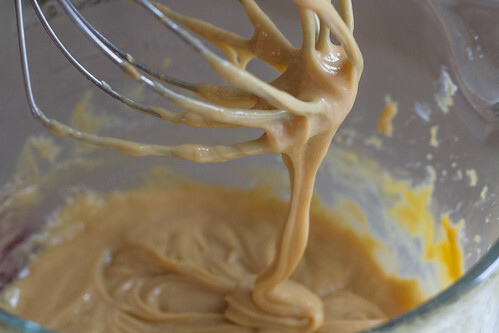 Immediately remove the bowl and place it on your stand mixer with the whisk attachment, beating slow at first and gradually increasing the speed to high. Beat for 6-7 minutes until glossy and thick, then beat in vanilla extract for another minute until combined. 4.Pile the frosting on top of the cheesecake before serving (an hour or two ahead of time is okay). I found this lovely baked Peanut Butter Cheesecake topped with a meringue topping that is like fluffy marshmallows from How Sweet It Is. It has an aromatic peanut flavour in the cheesecake as well as the biscuit base. 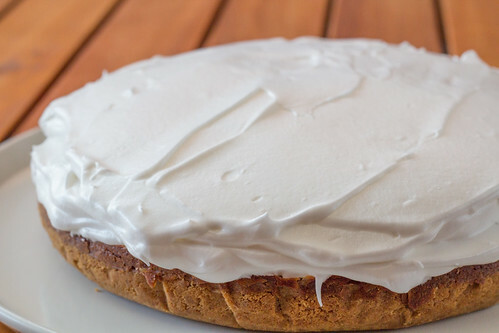 The frosting complements the slightly dense nutty cheesecake filling, it really is a treat! Preheat the oven to 170° C (350° F). Stir together the crushed Marie cookies, ground peanuts and melted butter until combined, then press it into a 9-inch springform pan. Bake for 5 to 6 minutes, until it's just slightly set. Let cool completely. 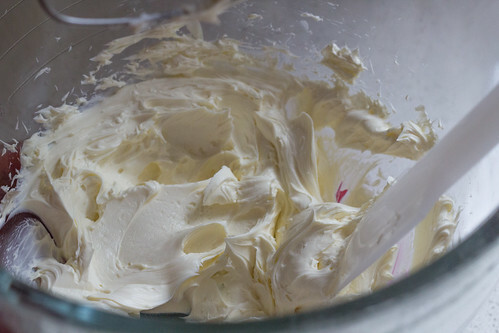 In the bowl of your electric mixer, beat the cream cheese until smooth and creamy. 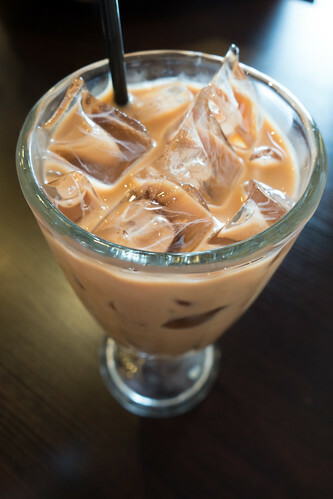 Add in the peanut butter, sugar and condensed milk, then beat on medium speed until combined and fluffy, about 1 to 2 minutes. Scrape down the sides of the bowl when needed. 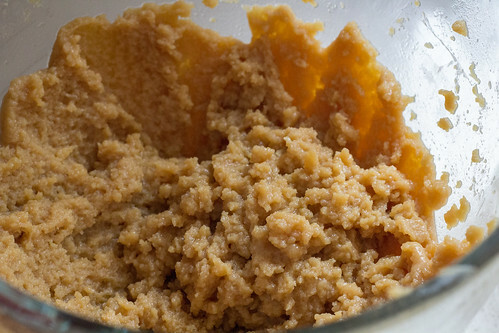 Beat in the vanilla extract, then beat in the eggs one at a time until just combined. Pour the cheesecake mixture into the crust, smoothing out the top. Place the pan on a baking sheet. 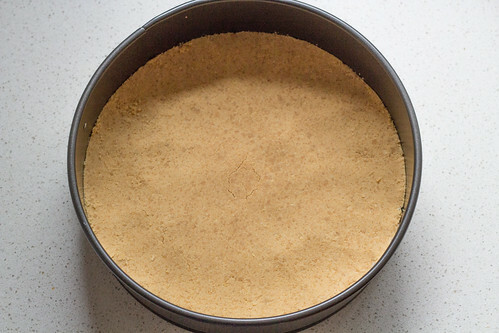 Bake the cheesecake for 50 to 55 minutes, or until the center is almost set. Remove and let cool completely. Refrigerate overnight. 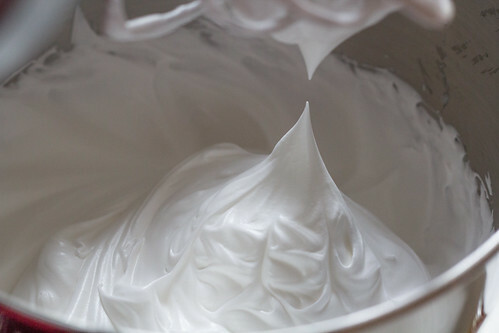 Combine the egg whites, sugar and cream of tartar in a heat-proof bowl, preferably the bowl of your electric stand mixer. 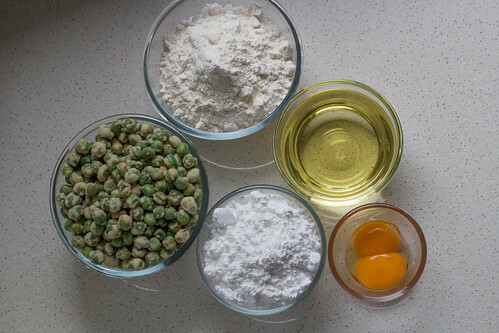 Place the bowl over top of a double-boiler that contains simmering water, and whisk constantly for 3-4 minutes until the sugar has dissolved and the egg whites are slightly warm. 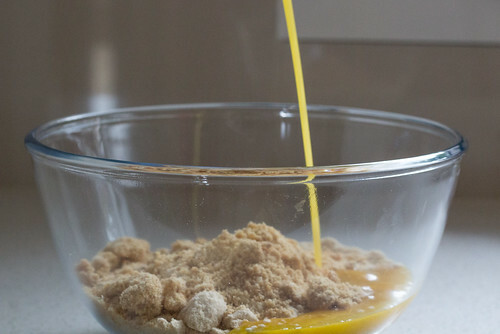 Immediately remove the bowl and place it on your stand mixer with the whisk attachment, beating slow at first and gradually increasing the speed to high. 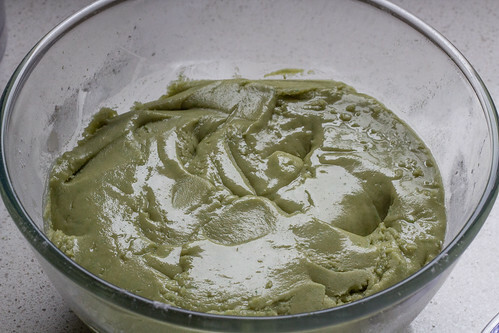 Beat for 6-7 minutes until glossy and thick, then beat in vanilla extract for another minute until combined. Pile the frosting on top of the cheesecake before serving (an hour or two ahead of time is okay). 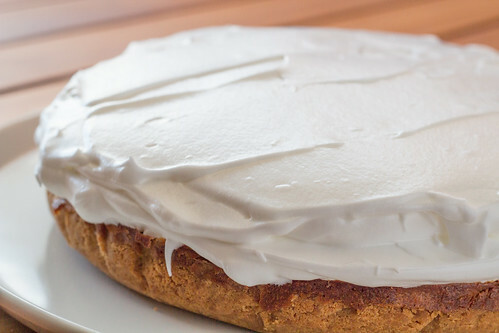 I noted that the vanilla extract in the Marshmallow Frosting is optional as if you want to make the topping way in advance (more than just a couple of hours) then I wouldn't add the vanilla extract as the frosting splits after a few hours. Without it, the frosting does keep longer. 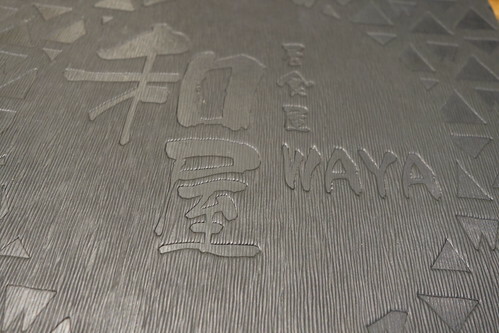 Waya on Kingsway, Glen Waverley is a Japanese restaurant with an interesting assortment of dishes from Sashimi, Sushi rolls, as well as Donburi (rice ), Ramen and Bento boxes as well as plentiful Japanese-tapas dishes. What also interested me was that they also offered hot pot, which you don’t often find in many Japanese restaurants. 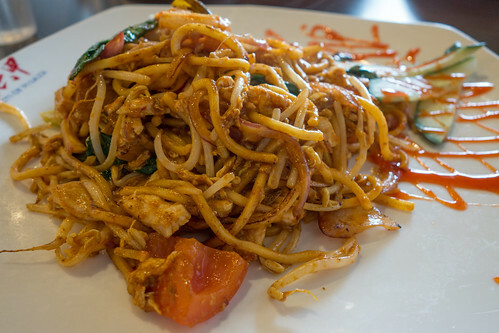 A few years back it was difficult to find any Japanese restaurants on Kingsway but now there is Monga Izakaya, Ajisen Ramen, Shira Nui and Yokohama Teppanyaki that all have their own appeal. 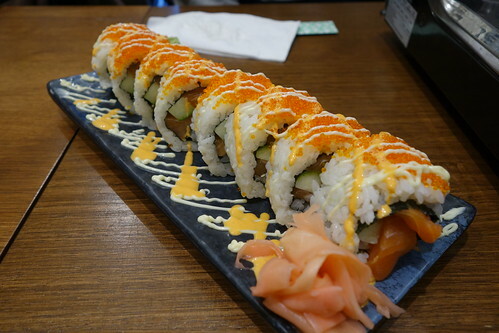 Waya’s Waka Maki aka rice with Salmon, Cucumber and Avocado topped with Tobiko and Spicy Sauce is probably one of my favourite ones I’ve tried to date. Although, funnily enough, no resturant’s version of their spicy sushi rolls have topped the sushi stall inside Box Hill Woolworths (Spicy Tuna rolls). 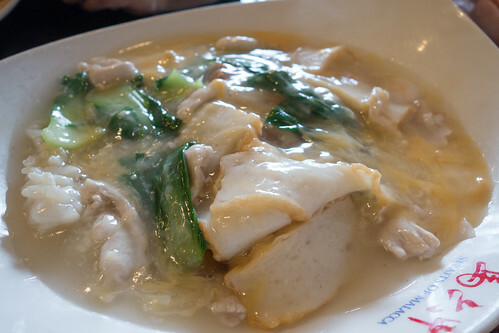 As mentioned before, the choice for hot pot is something I’m not quite use to but would love to see at more venues. We ordered the Kimchi Hot Pot served with Kimchi with Sliced Pork, Vegetables, Mushroom, Fish Cake and Tofu. 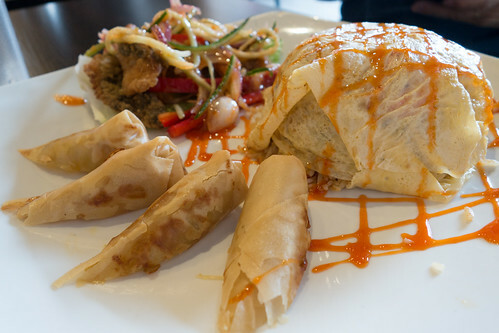 It can actually be served for two to three people depending on if you’re sharing dishes. 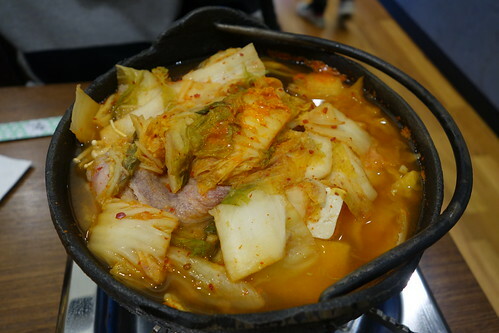 The hot pot has a lovely kimchi flavour with enough spiciness to go around. 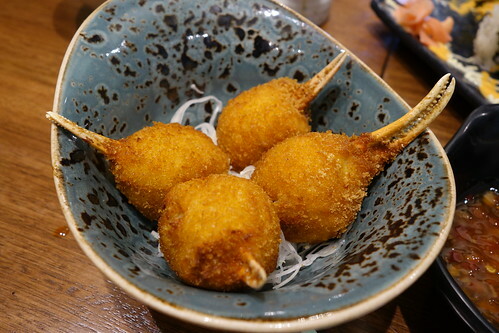 Their Crumbed Crab Claws are fantastic just fresh from the kitchen, with the crispy exterior and flavoured and moist crab claws.